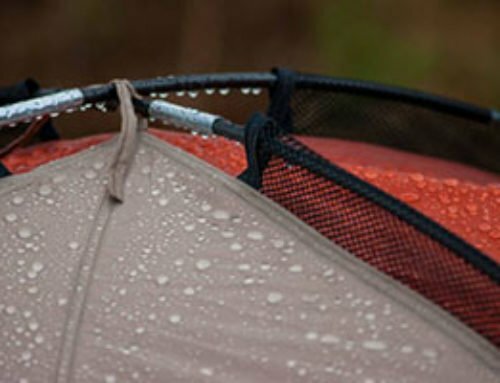 The following items are the 10 items I never go camping without. These are not must-have items for everyone, they are just for me. 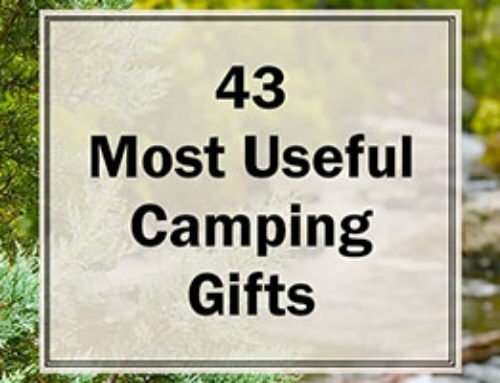 That being said, these camping items and gear are a great thing to consider when camping, especially if you are camping with the entire family. These items are not listed in any specific order, especially not the order of importance. While some people enjoy sleeping under the stars, my family does not fall into that category. We like having a place to go “inside”. Whether that’s to get out of the sun, rain, snow, away from the bugs, or whatever else, a tent is a must have for all our family camping trips. 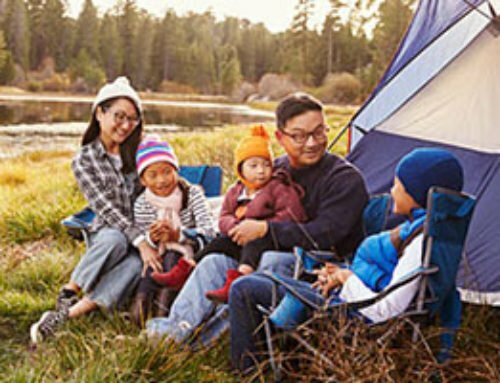 To find the right camping tent for your family, check out our list of the 21 Best Family Camping Tents. Staying warm and comfortable while sleeping is important for a fun camping trip. Unless you are camping in the middle of summer in the Arizona desert, most places are cool enough that you’ll at least want a light sleeping bag. Similarly, if you are camping during a cold time of year you will want to ensure you have an appropriately rated sleeping bag to handle the cold and keep you warm while sleeping. Uncomfortable sleep can ruin an entire camping trip for me and that’s why I always bring some sort of sleeping bag. When we are car camping, I bring a 3″ memory foam pad to sleep on, which makes for a good night sleep. You don’t have to get such a huge pad but bring something to give you a little extra comfort when sleeping. I promise you won’t regret it. You can find lots of great camping pad options on Amazon. While I do enjoy cooking a meal over the fire, I do like having a stove that makes it easier to cook a full meal. Additionally, having a propane stove ensures you’ll be able to cook your food even if it starts raining or you can’t find enough dry wood for a fire. I most often bring my Camp Chef 2 burner stove but a smaller stove will often work just fine. A good pocket knife will come in handy more than you will ever think. Whether you happened to forget all the kitchen/food prep knives (happened to us), want to simply widdle some wood, need to cut a rope, a good pocket knife will always have lots of good uses. There are lots of options but I would suggest finding one that is easy to carry around. There are a lot of great pocket knife options on Amazon for you to chose from. A solid pair of shoes or boots is a definite necessity for camping. They will protect your feet and allow you to be freer to do what you want while out in nature. Injuring your feet is a great way to put a real damper on a promising camping drip. Plus, who doesn’t love stomping around in a big pair of boots out in the woods. Some people might say this one is unnecessary but for us, it is a must-have. After working around the camp or taking a long hike, I want a place to just sit and relax. Additionally, it helps to prevent our kids from fighting over seats because they each have their own chair. There are a lot of options when it comes to camping chairs and to be honest, it’s hard to go wrong. Check out camping chairs on Amazon and find some that will work for you and your family. 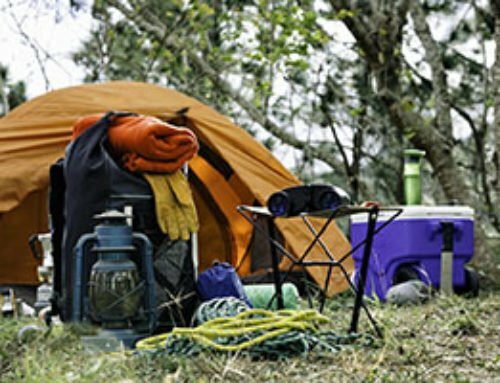 Even if you are only planning on a short overnighter camping trip, you never know when you’ll need an extra set of clothes. This is even more so when you have kids. Children inevitably end up falling in the creek, ripping a big hole in their shorts/shirt, losing their shirt (seriously, why did you even take it off? ), or any number of other things. You’ll never regret having a change of clothes, even if you end up not needing them. This item probably would not have made the list if we did not have kids. Not that flashlights and lanterns aren’t useful but if it was just me and my wife we would be fine without a flashlight. Kids, on the other hand, make flashlights and lanterns a necessity. It makes it a lot easier to get kids in bed, go to the bathroom in the middle of the night, and basically do anything after dark. 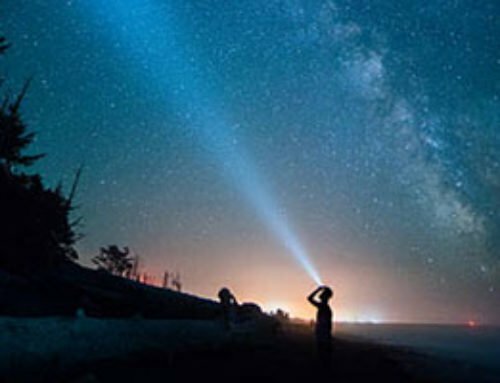 Secondly, kids simply love playing with flashlights at night and I wouldn’t deny them that kind of fun. There are lots of flashlight options but I would recommend getting an LED. They use less electricity and last longer. 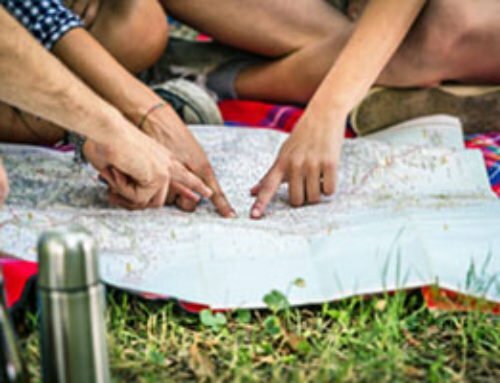 A first aid kit is a must-have for everyone on every camping trip. It’s not uncommon for people to get hurt while camping (I’m not talking about a serious injury but just the standard cut or scrape) and not having a first aid kit can turn a small injury into a big problem. Find a good first aid kit that covers all the basics and allows you to treat minor injuries and prevent them from becoming larger ones.